Our cleaners come equipped with the newest technology for emulsification, heat, pressurised cleaning, and effective capture of the waste material. A specialized vacuum cleaner is used to clean the hard floor area from any debris and dust. Any old sealant is removed with professional floor polish stripping and sealant removal techniques. 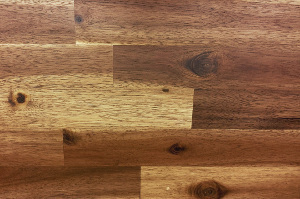 All dull spots, watermarks stains, and micro scratches are pre-treated and then a spray or other detergent is used for the cleaning and buffing of your flooring. During the stone or wood cleaning, any surface soiling is carefully taken out. The cleaner could need to rinse, scrub and dry the flooring. Once the floor and grout area have been expertly cleaned, continuing protection is reached with an impregnator to keep it protected from soiling and stains. Our cleaners can clean your patio hard floors via jet washing. We offer first-class: driveway cleaning patio cleaning and pressure washing. The exterior cleaning includes - paths, decks and drives. So, no matter what type of hard floor you have. If you are in Southfields SW18and require an expert jet washing and hard floor cleaning service, call us! In spite of how dirty and how bad the condition of your hard floor is, reserve our hard floor cleaning and jet washing services and you will be amazed with the final results! We have been delivering professional scrubbing, hard floor cleaning, jet washing, polishing, sealing, along with anti-slip protection and tile recoat service to the homes and businesses in the whole Southfields SW18since 2005. Excellent Carpet Cleaning is popular for its high quality hard floor cleaning and polishing services. We have a growing number of clients who count on our commercial and domestic hard floor maintenance services. All of our cleaners are background checked, experienced and trained. We use only Prochem authorized cleaning solutions, which are completely safe for humans, animals and for the environment. We get a client support service which will reply to your call at 020 3404 0500 or your online booking request in 2 hours. You will get written verification for the booking. No deposit is required. You can book for the same day, or pick any other day for the appointment. Our rates are set, and we will give you a big discount if you reserve more than 1 of our expert services to be provided at the same time.